Launching this holiday season is GameSalad made, Penguin Glide. This game was developed by APPsolute Entertainment which consists of the developer team, Aaron Asher (Tenrdrmer) and Jonathan Francois (Uptimistik). Penguin Glide 1.0 is only $0.99 USD (or equivalent amount in other currencies) and available worldwide exclusively through the App Store in the Games category. 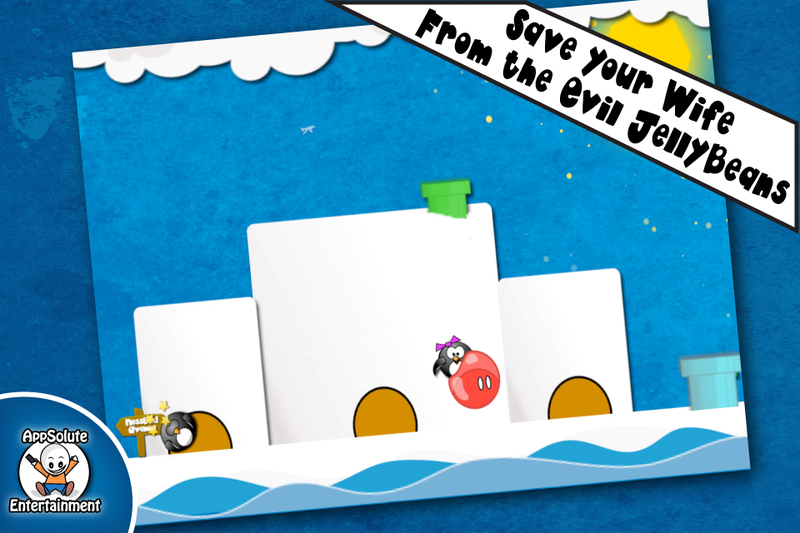 About Penguin Glide: Players guide a loyal husband penguin through a unique puzzle world to save his kidnapped wife from the “jealous jelly bean” gang. 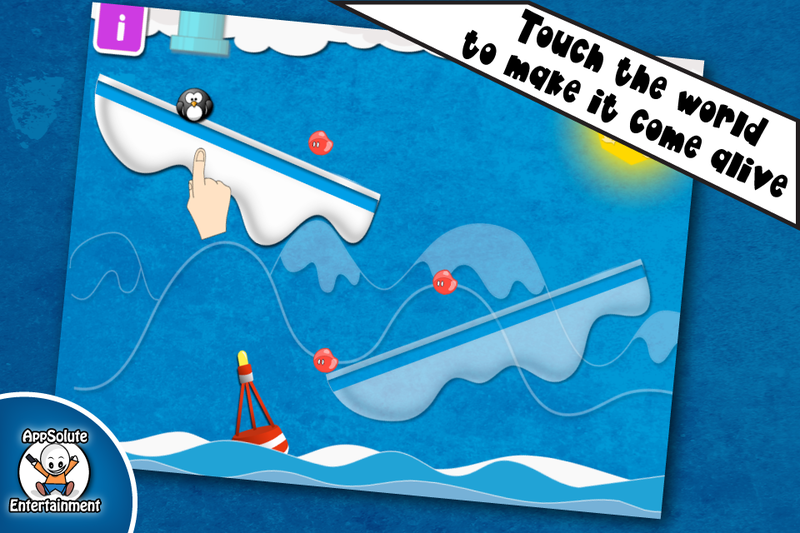 The game play world responds to touch and ‘comes alive’ to create solid platforms for the penguin to successfully proceed along his journey. Players will enjoy crisp retina display graphics and an engaging storyline in this never seen before mechanic on the App Store.With boss battles, amazing power ups, an engaging and evolving storyline complete with mini-game, you’ll definitely be rooting for the hero all the way to the credits. Excited to learn more about this release, GameSalad sat down with Asher and Francois to discuss Penguin Glide, GameSalad, and how the GameSalad community brought them together. GameSalad: Tell us about your background. What first got you interested in developing games? I am a Fire Fighter, Construction Worker, and now Game Developer. I have played videos games since I was little kid and always loved them. I have always thought of how cool it would be to make and play games for a living, and right now I’m doing that. I loved reading sci-fi and fantasy novels. Then when I got an SNES and played Chrono Trigger for the first time I was captivated by it’s detail and the novel-like way the game evolved. That was the starting point for me. I had been looking at what it takes to make iPhone games for a few months and had just abut given up since the only real option looked like some form of code. And I’m gonna be honest here. A screen full of code just makes me fall a sleep. Then I was browsing some price drop games and picked up a little title called Doodle Destroy. The first thing I saw when I opened the game was “Made with GameSalad”. Intrigued, I instantly Googled GameSalad. The rest as they say is history. doing some research about the potential of earning an income from the App Store, I joined GameSalad 2 days later. GameSalad: How long have you been part of the GameSalad community? I have been a member of the online community since August 20th, 2010. I started out asking the questions and after I had a game out and really got a hang of things I shifted my focus to helping others understand the tool like I have. GameSalad: How did you guys develop a working/game developing relationship? I had been looking for a talented individual to partner with for a while and after several unsuccessful ventures, Jonathan came along asking for help on a small thing. After talking with him and seeing what he had accomplished in his time using GameSalad, I was impressed to say the least. He seemed very talented at designing games and had some great concepts going. We decided to take it one step at a time. We started off making a template. The plan was make a template in a day. We sat down and did just that. Back and forth all day we sent the project and we did it. We actually liked the template so much we decided to take it a step further and see how we did completing a game. We completed Alpha Balls in one week, counting the first day of creating the template. We really worked well together and decided then we would continue working together. I remembered seeing an info-graph on developer stats. And one thing that caught my eye was the success rate of a team of 3-5 developers. like Alpha Balls and a few templates to see how we mesh, and well I don’t see us slowing down anytime soon! GameSalad: What do you enjoy most about GameSalad and the GameSalad community? I love the community. I think that is really what kept me pushing through the tough points as I was learning the basics. GameSalad makes it easier than code but it’s still not a walk in the park to make a game, so at times it can get frustrating. The online community is really what pulled me through and helped make me a better developer. I hit the forums first thing in the morning and throughout the day to see what’s going on and help any who needs that extra bump to keep at it. code. To see a prototype spring to life fills one with an almost Geppetto-like joy! And as for the community, it’s the first place I check in every morning, from time to time during the day, and every evening before I go to bed. It’s family. 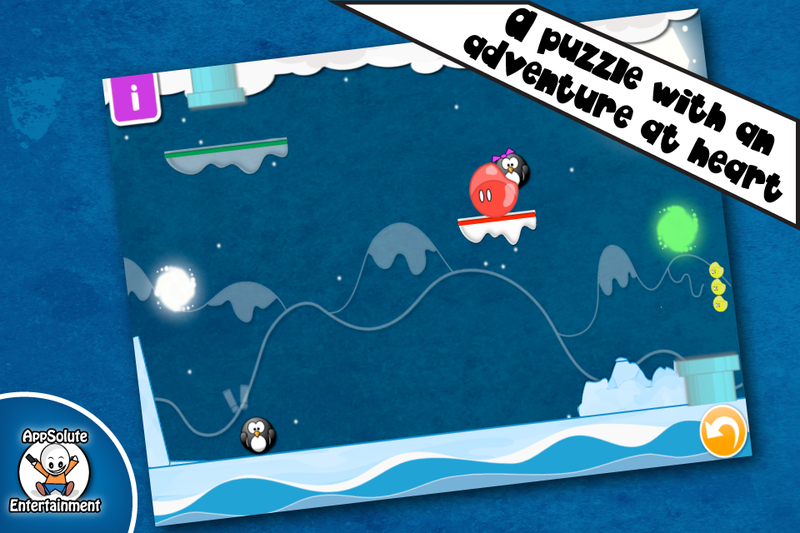 GameSalad: What was the inspiration behind Penguin Glide? This one goes all to Jonathan. He brought the idea already prototyped to me. I loved the idea and went with it. Jonathan is really the mastermind behind the design and concept. This is probably the first project where we all really fell into our roles in the Team. Mine as the Developer and his as the Designer with Daniel (our artist) helping add bits of polish. that was done, the next step was to develop a story, an adventure around this mechanic that made it feel alive. 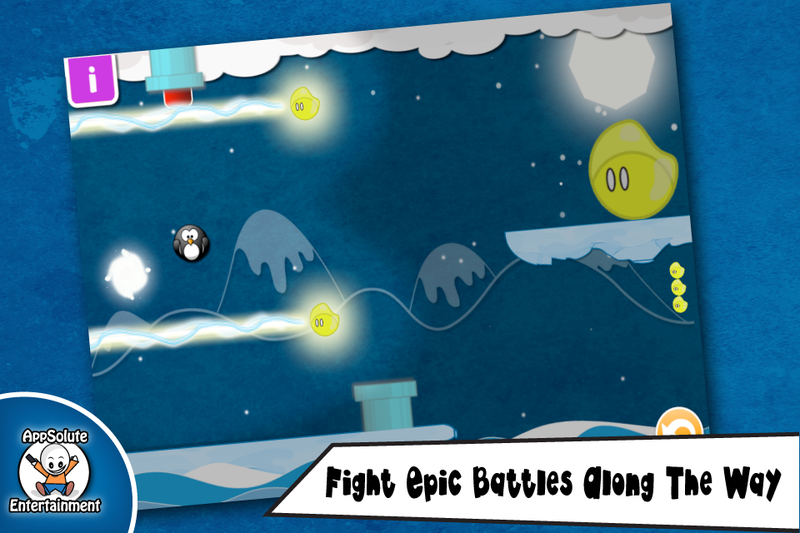 GameSalad: How is Penguin Glide different from games you have made in the past? For me Penguin Glide was really the first original Game type. All the others had heavy inspiration from already existing games. The gameplay or themes were different and the levels where different but in the end they where clone type games. Penguin Glide feels unique to me. Penguin Glide is different in that our past title, Alpha Balls was really a test of team cohesion. Penguin Glide is our first foray into originality and focusing on the experience of the player; what would make them smile? 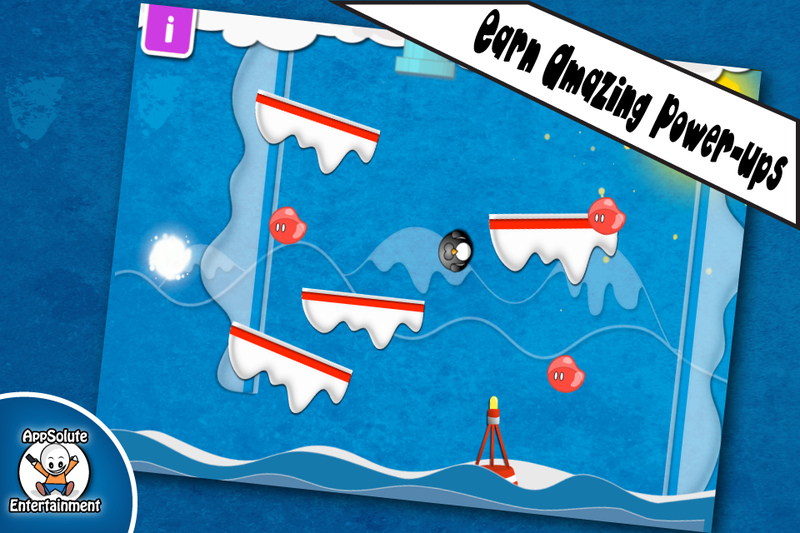 GameSalad: What challenges did you face while making Penguin Glide? How did working as a developing team help you? As with any game for me the biggest Challenge is actually finishing once you get close. The team really helped boost each others motivation. As one of us was really tired of it all, the other could take over and make some good progress and it always seemed to provide the fuel to motivate each other. Another Challenge with finishing was being satisfied and stopping the changes or additions from continually creeping along. Our goal of making every bit of the game unique meant we had to change and scrap fully-working systems many, many times. Then getting things to flow ‘just right’ and ensuring that all members were satisfied with the end result would also present a bit of a challenge. The huge upside to that though was that we had our own internal testing team which gave us a sense of what was/was not working in the game. The glue that’s holding us together though is our love of making games. That’s the passion, that’s the drive so keep on the lookout for Team AppSolute…we’ve only just begun.